High Fidelity In It's Truest Sense. 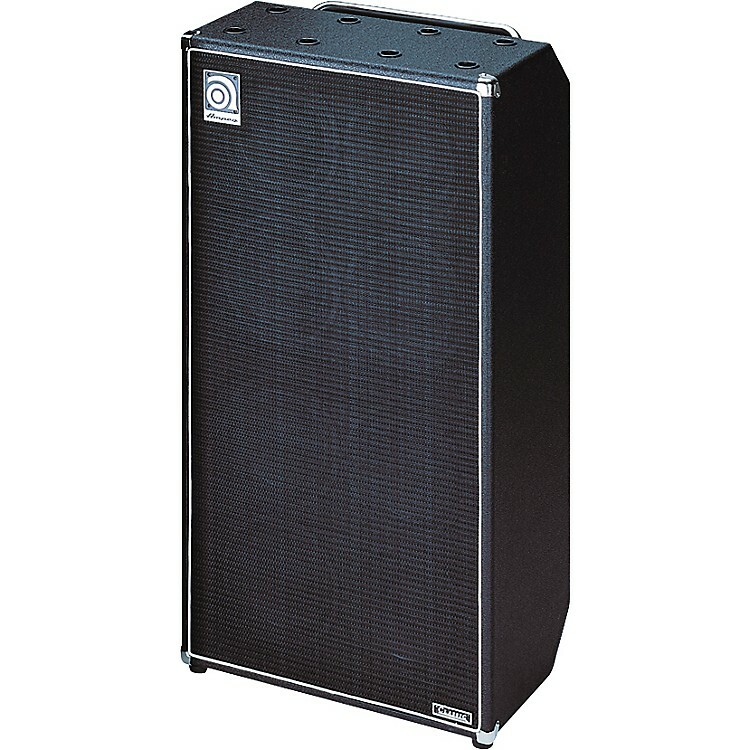 Ampeg's signature enclosure since 1969, the SVT-810E provides sonic excellence at nearly any volume level. High power handling and incredible efficiency provide thunder as well as definition. Each pair of Ampeg 10" drivers is housed in a separate infinite baffled chamber for excursion control and damping. This particular cabinet's 8x10" speakers make it quite a sight to behold, but that's nothing compared to how huge this tone monster sounds. The SVT-810E features a 2" voice coil with 30 oz. magnets and is capable of handling 800 watts RMS of continuous power and 1600W power peaks! This tower of tone may be heavier than its SVT brethren, but one listen and you're sure to fall in love with every pound. Make yourself heard in the biggest venues with the loudest bands. Order today! Dimensions: 48" x 26" x 16"